Most of the photographs presented here is available in three types of finish: Reproduction with mat, Rolled Fine-Art print ready to frame, Plexi print ready to hang. Click on the red button € BUY at the top left of the images to choose the size and the finishes below. 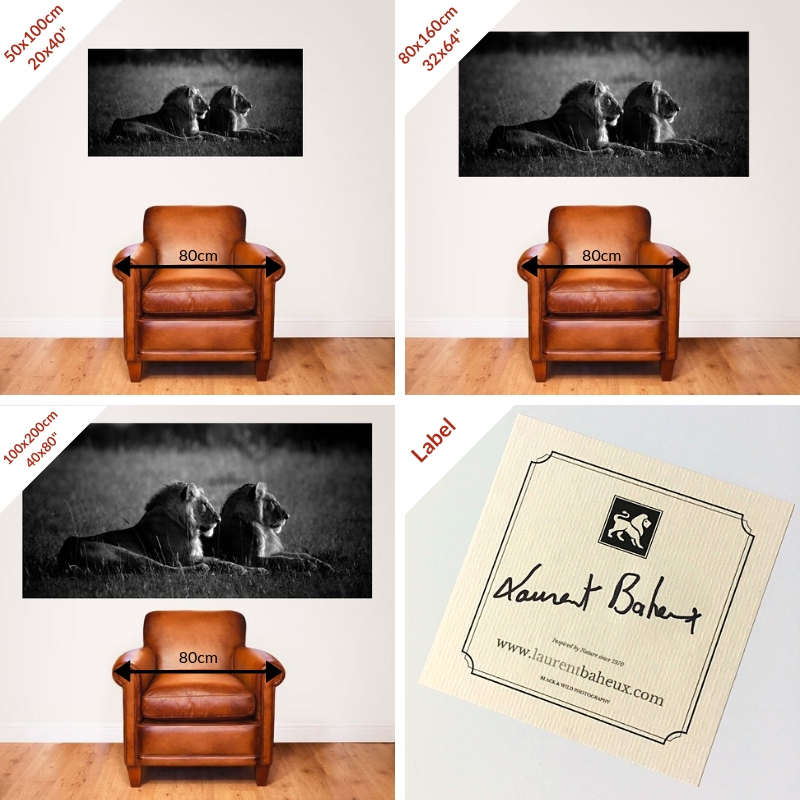 Not signed print on Hahnemühle photo Silk Baryta 310g paper with white or black mat and LAURENT BAHEUX label affixed to the back. Sold unframed and adaptable to standard frames in three sizes: 12x16inch, 16x20inch and 20x28inch. Printed on paper Hahnemühle Fine Art Baryta 325g, signed by the photographer (label to stick to the back after framing) and delivered rolled in a tube. Available in three sizes depending on the format of the image from 20x20inch to 80x80inch. This option is the best for customers outside the European Union because of the shipping costs. We are used to deliver to everywhere in the world. Plexi print laminated on aluminum, signed by the photographer (label on the back) and ready to hang. Supplied in a reinforced box. Available in three sizes depending on the format of the image from 20x20inch to 80x80inch. We answer all special requests thanks to the button REQUEST A QUOTATION available on each photograph of the site. We print on demand on special papers, giant formats, etc. Orders are delivered exclusively by carrier (Chronopost, UPS, Fedex or DPD) to the address indicated in the order. A tracking number is sent by email as soon as the prints are sent. An E-SHOP features a selection of photographs in Reproduction with mat only and all the books of the photographer. The major asset of this shop is the possibility to ask for a dedication from Laurent Baheux (for books only) and to be delivered in Point Relay (Europe).